Off the back of his UK and Europe leg of his Measurements Tour and a sold-out Saturday night at The Corner Hotel, Didirri returned to the band room on Sunday night with his band in tow to deliver a remarkable performance. The absence of lead guitar and live percussion did not hinder the delivery of Merpire’s dream-inducing and cleverly written pop melodies, which opened the evening. Bandmates James Seymour and Mimi Gilbert offered beautiful harmonies and backing vocals across Merpire’s set, particularly notable during the relaxed, Labyrinth-esque performance of ‘Hauntways’. Emerson Snowe took to the stage with an acoustic guitar and a captivating repertoire of originals and covers, including his latest single ‘If I Die, Then I Die’ and The Replacements’ ‘Androgynous’. Tactfully calling out “chitter chatter” in the room throughout his set, Snowe drew giggles and respect from crowd members. Moments after his bandmates arrived on stage to create a gentle backing jam, Didirri greeted the room, briefly lulling us into a false sense that we would be eased into his set. A few lines into his first song, an unexpected thwack of lights and sound kicked everything into gear and we were introduced to the magnitude of Didirri’s energy. The choice to open with an unreleased track not only created excitement for the remainder of the evening, but anticipation for what is to come in Didirri’s musical career. Dedicated fans watched on, eyes and ears completely open to Didirri’s next offering: a gripping rendition of The Monkees’ ‘Randy Scouse Git’. With a recorded version and previous performances of Didirri’s take on this track, it would be easy to believe that it was an original. 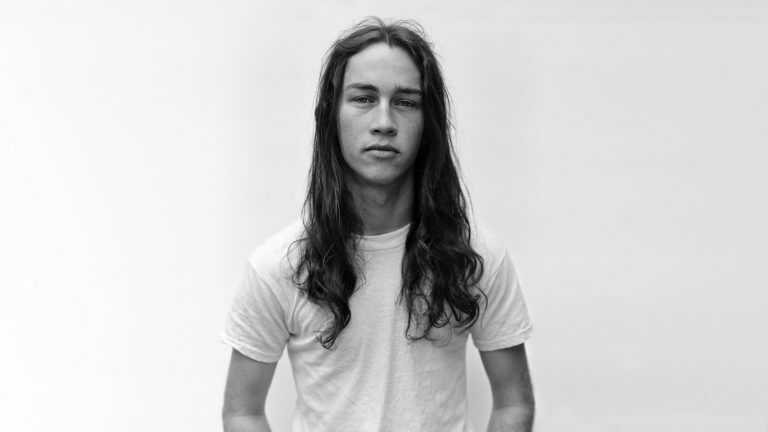 Fans of Didirri are no strangers to his take on performance and songwriting. He has a powerful ability to draw listeners in. Once again, Didirri’s guitarist Daniel O’Keefe, along with bassist Isaac Barter and drummer Liam O’Leary, provided us with an all-encompassing experience. Guitar lines oozed passion, precision and mastery. In between each song Didirri opened up to us, letting us in on reflections of the successful year he has had, as well as personal anecdotes behind his lyrics. This deepened his connection with the audience and his ability to cut through to the core of his listeners souls. During the instrumental outro of ‘Worth The Wait’ Didirri disappeared from the stage, to appear moments later at a keyboard on a small stage near the back of the band room, performing Don McLean’s ‘Vincent’. Back on the mainstage, Didirri built up momentum with his band through the last few tracks. The live arrangements by his band captured the ebbs and flows of intricate emotions put forward by Didirri, and played on them to breathe an electrifying life into ‘Jude’ and ‘Formaldehyde’. Just as Didirri closed his EP Measurements with ‘Can’t Get Last Night Out Of My Head’, he used it as a closer for the evening, and performed it to a crowd who sung along to every word. Didirri has curated a dynamic live set that showcases his strengths as a songwriter and performer, the talent of his band and the crew he tours with. His sincerity and ability to develop meaningful connections with his audience has generated admiration among his ever-growing fan base and makes for a magical live experience. Mid-way through the evening Didirri, also announced that a live album was being recorded of this performance – keep your eyes and ears out for it so you can experience it too!